Last week we had SO much fun taking headshots for the Washington DC Chancey Charm team! Alana and I had previously connected over our love for Virginia colleges (#GoDukes and #Gohokies) – have those ever been put in the same sentence? 😂 So it was extra special getting to connect with her again! 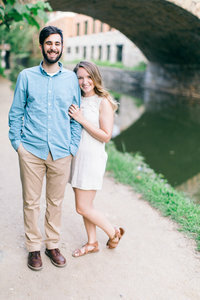 Although they plan wedding all throughout Virginia, we had such a great time strolling through DC and using several iconic buildings as the backdrop for their photos. John and Layla’s DC Wedding! Without further ado, a few favorites from their session! ARE YOU ENGAGED AND IN SEARCH OF THE PERFECT PHOTOGRAPHER TO DOCUMENT YOUR DAY?